Who is the Maiden with the Seagull? If you take a stroll along the Lungomare from the scenic village of Volosko into Opatija, Croatia’s first resort town, you can’t miss her. 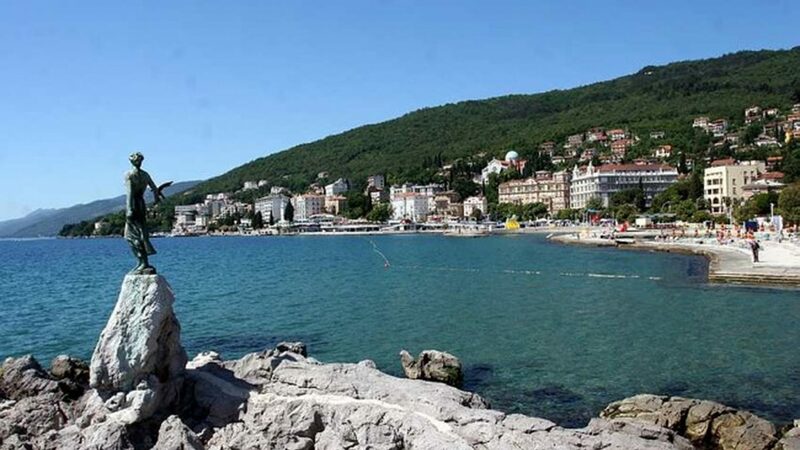 As you round a corner into town, she’ll be there, standing among the rocks that trail into the water, looking out over Opatija’s grand villas, gardens, and beaches. Of course, we are talking about the sculpture called Maiden with the Seagull. 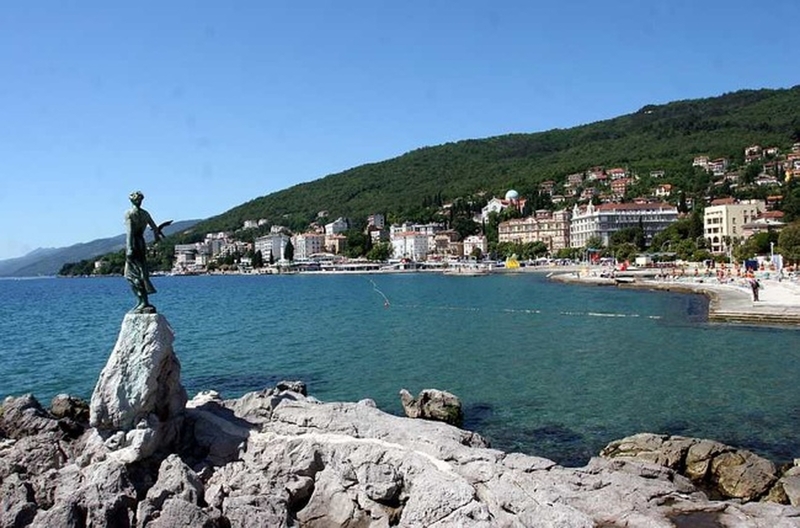 She has become something of an icon of Opatija, gracing posters, pamphlets, and postcards. And every visitor to the region has surely caught her on film (or in pixels). So, who is she, exactly? 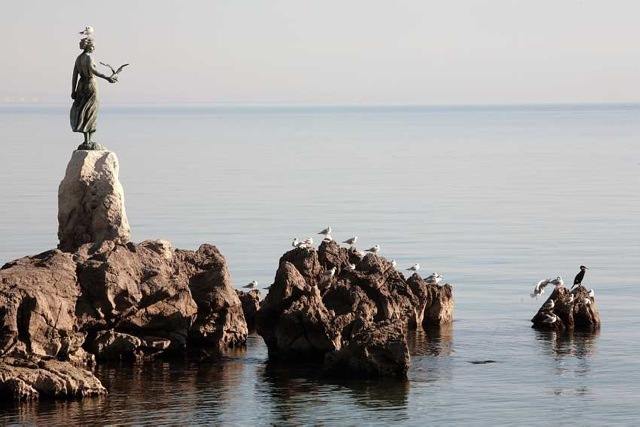 The story of the Maiden with the Seagull actually begins in 1891, during Opatija’s tourist boom, when the unfortunate count Arthur Kesselstadt and his wife, countess Fries, fell victim to a raging storm not far from the rocks where the maiden now stands. The count’s family, overcome with grief, installed a sculpture of the Madonna on the rocks to honor their son’s memory. Over the years, however, the statue itself also suffered from harsh conditions at sea, and after extensive damage, it was removed, restored, and now stands in the Croatian Museum of Tourism in historic Villa Angiolina. In 1956, another maiden took the Madonna’s place – this time a statue by Croatian sculptor Zvonko Car. This young girl, clad in a light shift, her palm outstretched to a fluttering seagull, embodies life on the Adriatic – light, breezy, carefree, with a hint of elegance. For years, no one knew the identity of the girl. Recently Jelena Jendrasic, Car’s neighbor in Crikvenica, finally revealed that it was she who served as a model for the statue.